Want to Achieve Ultimate Wealth? This site contains information about ultimate wealth and how to achieve it. Achievement is a process and does not happen in one sitting. Bear this in mind as you apply the strategies and mindsets contained on the following pages. If you have got here hoping to 'get rich' without providing products and services which help people you will probably find this very difficult. At the very least you won't be happy and content in your life which let's face it is what most people strive for. The problem is many of the population still think money on its own can do it. This is wrong thinking but has been perpetuated by the global elite, the 13 blood line families who have an interest in keeping you away from the truth of who you really are ie divine consciousness. They have been doing this very successfully - think consumerism, religion, media, education and government - and it is up to each and every one of us to discover the truth for ourselves. Only then can we move on, 'get rich' if we desire and achieve ultimate wealth. I have tried to present the information through my own experiences. You will also be able to identify with the strategies and mental attitudes of the worlds wealthiest. The reason for this is because there are Universal Laws which never change, just like physical laws eg. the law of gravity. You must apply these universal laws in your daily life if you have any chance of achieving ultimate wealth. To achieve all your heart's desires requires you to follow a process, one that will take time, some people will take longer than others. There is no harm in that, afterall I was a slow learner. You can be assured however that you will achieve ultimate wealth providing you bring to the table two important ingredients, intent and a strong desire to succeed. Without these you will not succeed. Do note however, many people never became happy and wealthy until well into their forties and beyond. Failure therefore plays a very important part on the way to success. To achieve anything worthwhile in life you must make mistakes. As long as you learn from these mistakes then you will achieve all your life goals. You will learn how to deal with anxiety and fear. Fear has stopped more people from achieving than any other emotion. Fear has been deliberately perpetuated by The System (the global elite banksters) to keep you in servitude. The really sad thing is we spend 99% of our lives in fear without even knowing it and most fears never come to fruition anyway. Remember that the more 'energy' or focus you put on a particular scenario the more chance it will happen. This is a Universal Law called the Law of Attraction. All we have to do is re-learn to focus on what we desire or what we really want and avoid focusing on what we don't want (worry/fear). As a race it is now well established in the human psyche to dwell on the negative. In the pages that follow I will give you important pointers on how to change these conditioned responses. Ultimate or true wealth is not just about abundant riches or external wealth. It consists of both internal and external wealth. External wealth includes such things as a lavish lifestyle, fast cars, expensive holidays, property and anything else you desire. However this type of wealth will not make you completely happy. Your life must also consist of internal wealth. Discover the secrets to manifest money. They should be considered a work in progress often referred to as personal growth. Money management international is alot easier to understand when you have gained some incite into how the world really works. Your Personal Money Management balance sheet reflects your personality traits as assets and liabilities. It wasn't until I studied everything offshore and put it into practice that I realised I had been a prisoner all my life. Investing doesn't have to be difficult. Use This Beginners Guide to Investing to uncover the basics. Freedom?....Do we really know what it is and more importantly how it feels? Anxiety and Fear and destructive little monsters. Read the following articles to help you overcome them. The following personal growth and awareness articles are here to help you achieve all your life ambitions. Investing is such a broad subject that many give up before they even begin. The following articles are here to help you make informed decisions. The following money happiness articles are here to help you find true wealth and prosperity whilst living a happy and joyful life. Inevitably you will require wealth builders to achieve ultimate wealth. I have listed five which have helped me accumulate true wealth. There are many ways to invest money, the ultimate purpose is to have a balanced portfolio reflecting your own risk tolerances and goals. 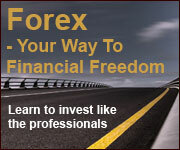 Your chance to not only read some inspirational wealth building articles but to upload your own. Eurozone News:Could Continent-Wide bank Runs Collapse the Eurozone? Now a second flash crash...is it ever going to be safe to get back into US stocks? Life Purpose? Do you know why you are here? Finding your life purpose is quite easy once you drop the fear, see the illusion and realise you are not separate but part of the whole. To pay off debt is an admirable and conscientuous thing to do. However what would you say if I told you the debt was paid off the moment you signed your application form. The best way to invest money doesn't correlate to the best advertisement or the latest fad. Actually it's usually what isn't being advertised and talked about that turns out to be the most profitable. 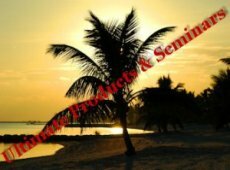 Ultimate Wealth Seminars will teach you about what is really happening in the world, who you really are, the illusion that we are now living in, offshore structures and secrets, banking scams and much more. A Purpose Driven Life is the key to being happy. Having a purpose driven life leads to a happy life. The best way to do this is to follow your heart and your one true passion. Maxwell Hill is author and owner of Ultimate Wealth Made Easy. This site reflects the philosophical ideals that he, along with his team, live by. Although The Science of Getting Rich is straight forward and can be understood intellectually, being aware of your own conditioned responses is key to becoming wealthy. The Tipping Point has Arrived. Are you paying attention yet? A divine remedy has been needed for some time because you are a slave, just as your parents, your grandparents and great grandparents were slaves. A silver investment could make a profitable addition to your portfolio. With the crisis of fiat currencies, US dollar surpluses being converted into gold there is still something your government does not want you to know about. American people are apathetic and so well trained indicated by their lack of response to the call for freedom and the TSA. There are many money management tips however choosing the most practical and effective will give you the greatest return in terms of peace of mind and eventual return on investment. Manifesting abundance is easy when you become aware of the subconscious and reactive programs(ego) that have been conditioned into us from a young age. The Parable of the Blindfold - is it possible to have a society where noone goes hungry, noone wants for anything and everyone is equally valued and loved? Official Disclosure - The Powers that Were are threatening to set off the New Madrid Fault with HAARP as a last-ditch effort to avoid their defeat. Would you like to share your knowledge about ultimate wealth? Great, find out how you can submit your story or tip here. "Being rich is having money; being wealthy is having time"
"Wealth is not a matter of intelligence it's a matter of inspiration"
"Wealth, like happiness, is never attained when sought after directly. It comes as a by-product of providing a useful service." "Wealth is a tool of freedom, but the pursuit of wealth is the way to slavery." "Naked a man comes from his mother's womb, and as he comes, so he departs. He takes nothing from his labor that he can carry in his hand." Would you like to share your knowledge about keyphrase? Contribute to www.ultimate-wealth-made-easy.com!